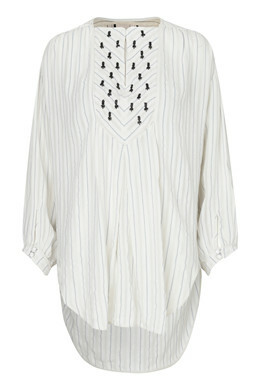 Tunic with V-neckline that can be fastened with a buckle. 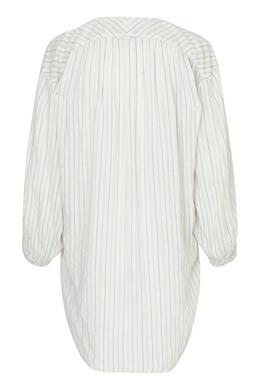 The tunic has slits at the sides and a loose and comfortable shape. Keep the look casual with leggings or dress it up with a pair of tight leather trousers.